MUSCAT - Islam teaches all to respect other religions and their gods. Muslims should discuss issues with people of other religions nicely, said Hamza Yusuf, an American Islamic preacher, in his lecture at Sultan Qaboos Grand Mosque Auditorium here on Friday. Yusuf is in Muscat on an invitation from the Diwan of Royal Court to deliver a series of lectures on different aspects of Islam and related issues. He has already delivered two of his lectures. On Friday, he spoke on ‘How just is Islam to followers of other religions’ This was his third and concluding part of the lecture series. Yusuf said that Islam taught us that we do not need to compete with others in anything other than the best deeds as God did not see how you look, but he saw only your intentions. He said that verses of the Holy Quran tells us not to fight with those who do not fight with you and let you live in your houses peacefully. Allah hates transgression, he said. Yusuf was born in a Greek orthodox family of Walla Walla, Washington. He grew up in Northern California and embraced Islam at the age of 17 in Santa Barbara. Then he studied Islamic jurisprudence, philosophy and spiritual psychology with scholars from the Muslim world. While the appeal of 'civilisational dialogue' is on the rise, its sources, functions, and consequences arouse controversy within and between faith communities. Some religious leaders have attempted to clarify the religious foundations for such dialogue. Among them are Jonathan Sacks, the Chief Rabbi of the United Hebrew Congregations of Britain and the Commonwealth, Edward Idris, Cardinal Cassidy of the Catholic Church, and Fethullah Gülen. The paper compares the approach of these three religious leaders from the Abrahamic tradition as presented in their scholarly works - Sacks' The Dignity of Difference, Cardinal Cassidy's Ecumenism and Interreligious Dialogue, and Gülen's Advocate of Dialogue. The discussion attempts to answer the following questions: Can monotheistic traditions accommodate the dignity of followers of other monotheistic and polytheistic religions as well as non-theistic religions and philosophies? Is a belief in the unity of God compatible with an acceptance of the religious dignity of others? Countering extremist ideology may be a problem primarily for the Muslim world, but it has major implications for, and so the interest of, the wider world. Although it might seem that it is the strident militant voices that are gaining ground in the Muslim world, there are also strong voices from within Islam seeking to proclaim the Muslim priority for peaceful and harmonious relations with the wider world, including with religious neighbours. Such a voice is that of Fethullah Gülen. This paper seeks to understand the prospects and appropriate contexts for dialogue: what enables, and what hinders, good interfaith relations? The paper addresses the issue of Islamic paradigms for inter-religious relations and dialogue, then analyses and critically discusses the views of Fethullah Gülen. The intention is to identify a perspective that will encourage future inter-religious dialogue and enhance the relations of Islam to other faiths, a perspective indicative of transitions within the Muslim world and one that gives cause to be hopeful for the recovery of the true way of peace. In our world of mass communications, those who seek to reach out to engage meaningfully with members of other faiths bear a particularly heavy responsibility. Ours is a wounded world. Its tragedies are those of an unbridled individualism and materialism, manifested in the decay of family values and in the love of neighbour. Humanity, say our scriptures, suffers when denied the love of the One God, and the love of neighbour. We are, as religions, facing a common threat and challenge in a way that may be historically unique, and we must see this as an opportunity, under Heaven, for real cooperation. We are accountable to God for the sincerity with which we seize this opportunity. Ours is a world wounded also by misapprehensions about religion. Research suggests that a leading factor for the decay of faith in God is now not problems of the existence of God, or the nature and source of evil, but rather the widespread sense that religion brings discord rather than healing to the world. The reality of engagement between believers of different traditions is overwhelmingly one of conviviality; but extremists on all sides veil this by using language of exclusion and contempt. The Vatican has worked to overcome the negative perceptions caused by some in the West who use religious language to veil political or cultural hatreds, but this is not always noted in the Muslim world. On the Muslim side, the dozens of international conferences of religious leaders who condemn terrorism and unjust war are likewise underreported by the media. In consequence, too many in our world are unaware of the quieter, but immensely hopeful story, of real theological, personal and spiritual respect which exists between members of the Abrahamic faiths. It has not escaped the attention of the Pontifical Council, likewise, that our document is addressed to all branches of the Christian family. We have been heartened by the warmth of the speedy response from very many Christian church leaders and thinkers from the Reformed tradition, and we have agreed to meet their representatives for a significant theological engagement in Yale this July. The response from the Anglican Church has been warm and heartfelt, and we look forward also to our forthcoming meeting with Dr Rowan Williams, Archbishop of Canterbury, and other Anglican theologians later this year in Cambridge. We are also grateful for the energy with which Georgetown University has set in train arrangements for our meeting there in January of 2009. Likewise, the particular demographics of many Middle Eastern countries ensures that relations with the Orthodox Churches will be vital to our concerns, and initial reactions from Moscow and Istanbul have already demonstrated the importance of the Common Word initiative in those important centres of Christian ecclesial life. Finally, on behalf of the Muslim delegates, may I reiterate my appreciation for the Holy See’s warm sense of the importance of the Common Word initiative, and for the generosity and frankness of the opening remarks by Cardinal Tauran, and the subsequent rich discussions, which have led, by the favour of God, to the joint decision to proceed with a first seminar of the Christian-Muslim Forum. ‘And success is from God’. American Muslims and Protestants, Can we talk? Tolerance means closing our minds to the faults of others, respecting ideas with which we disagree, and when attacked verbally, responding with mildness or as the Qur'an says, with 'gentle words.' Interfaith dialogue involves stressing the commonalities between the world religions, rather than past polemics and historical differences. In regard to compassionate love Gülen calls the universe a symphony of compassion because without compassion everything is in chaos. Souls filled with love are in Gülen's view, the greatest heroes in the cosmos. The way of love is the way of the prophets. Part III contains my own views on the clash of civilisations. Written in the spirit of Gülen, I argue that in contradistinction to Huntington, the Muslim world is not monolithic, that many of the past wars and clashes were within the same civilisation, and that the real clash is between extremists of all types and moderates within the same culture or civilisation. I also highlight the ecumenical message of Islam, namely, that all religion deserve respect and courtesy, that followers of different religious traditions should compete with one another in piety, and that the rope that links us to God also links us to one another (Qur'an 3:103). "The differences of opinion among the learned within my community are (a sign of God's) grace." (The Prophet Muhammed) "The variety of religions belongs to the beauty and richness of the human situation because it is only the entire rainbow that provides a complete picture of the true religious dimension of Man." (Panikkar 1999: 17). This paper discusses the potential of the Gülen movement to serve as a mechanism for, in the medium term, the integration of the Turkish community in Europe and, in the long term, the Muslim community as a whole, taking into consideration the obstacles to this process, given the composition of different communities. "International Conference on Religious Freedom in Democratic Societies", a high-level meeting on religious freedom and radicalism in Europe is being held today and tomorrow in the Palacio de Congresos de Córdoba (pictured), in Cordova, Spain. Organised by the Spanish Presidency of the EU and the Alliance of Civilisations, it is being attended by around 150 European experts, together with politicians, religious leaders and opinion makers. The objective of this meeting is to serve as a platform for debate in order to analyse the current situation and the perspectives of freedom of religion and beliefs in democratic societies, as well as to present suggestions for enriching research into this subject. Scheduled to attend are the Spanish Secretary of State for the EU, Diego López Garrido; the Spanish Justice Minister, Francisco Caamaño; the United Nations High Representative for the Alliance of Civilisations, Gilles De Kerchove, Counter-Terrorism Coordinator of the EU; Jorge Sampaio; the President of the Federation of Jewish Communities in Spain, Jacobo Israel Garzón; the advisor to Turkish Prime Minister, Ahmet Hadi Adanali; French academic and expert in Islamic Studies, Olivier Roy; and Tariq Ramadan, from the Euro-Muslim Network. Cordova is the choice of venue because it is a city steeped in the traditions and symbolism of the three cultures (Christianity, Islam y Judaism). The Alliance of Civilisations is a United Nations initiative, co-sponsored by Turkey and Spain, whose objective is to work towards overcoming existing rifts in international society that are connected to religious and cultural differences. This initiative is concerned with eradicating prejudices and errors of perception and creating a world-wide movement which, reflecting the wishes of the majority of the population, rejects extremism in any society. Dialogue is not about trying to defeat others, but about understanding and learning about them. The Qur’an insists that the world’s beauty lies in its racial and religious pluralism, otherwise God would not have created it so (10:99 and 5:48). The Qur’an states: “O mankind! Lo! We have created you male and female, and have made you nations and tribes that ye may know one another” (49:13). The process of dialogue forces people to examine and reconfirm their own religious identity and to strengthen their own beliefs while respecting those of others with patience and dignity. On Saturday, April 24, 2010, the Mayor and the City Council of Seattle signed a document making Seattle the very first city in the United States to take on a ten-year commitment to become a more compassionate city. Seattle is the first city to join the 10-year Campaign for Compassionate Cities in support of the Charter for Compassion. The event itself was wondrous, coordinated by the Compassionate Action Network and hosted by the Center for Spiritual Living in Seattle. We three Interfaith Amigos were delighted to participate both in the morning and the evening programs, and to learn from all who participated. Karen Armstrong proved to be a particularly inspiring teacher, with an incredible grasp of the history of religious thought and the common pursuit of compassion. Compassion is love in action, and love in action begins with loving oneself. The Golden Rule, celebrated by all religious and humanistic traditions, is itself an expression of compassionate awareness. It has been taught in different forms: “Do not do to others that which is hateful to yourself,” was taught by Hillel in the early part of the first century CE; “Do unto others that which you would have them do unto you,” was taught by Jesus(pbuh). 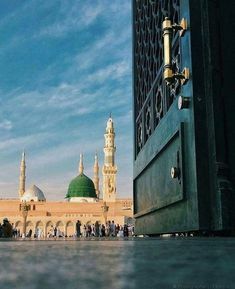 “None of you [truly] believes until he wishes for his brother what he wishes for himself.” (Hadith) Each formulation is significant, and part of a single whole. Our Mission: Cordoba Initiative aims to achieve a tipping point in Muslim-West relations within the next decade, bringing back the atmosphere of interfaith tolerance and respect that we have longed for since Muslims, Christians and Jews lived together in harmony and prosperity eight hundred years ago. Al-Azhar has agreed to set up a joint advisory body with the Russian Orthodox Church. Russian Orthodox Patriarch Kirill offered to Al-Azhar chief Sheikh Ahmed el-Tayeb to set up a joint advisory body during his visit to the Al-Azhar University in Cairo on Monday, an Interfax-Religion correspondent said. The Third Conference for European Imams and Religious Advisors has come to its conclusion in Vienna with 120 Muslim scholars from 40 European countries attending. The two-day gathering, which was organized by the Islamic Religious Authority in Austria, explored ways to improve the situation of Muslim communities in Austria and Europe at large. "It is part of the ongoing dialogue between the Muslim and the Western communities aiming to counter Islamophobia in Europe and remove unfair stereotypes about Muslims,"explained tha head of the authority Anas Al-Shaqfa. "The Muslim communities constitute a source of enrichment to the societies they live in, not a threat as the right-wing parties and extremist Christian groups allege," Al-Shaqfa underscored. The conference discussed a range of topics pertinent to being imams and religious leaders in Europe: such as moderation as a crucial part of the practical Islamic thought, how imams should deal with domestic violence, and how to promote the role of women as influential members of the European Muslim community.They aslso explored ways and means to communicate to the broader European community Muslim views about current and future European issues, and how to build relations between European Muslims and their fellow citizens by promoting dialogue and peaceful social interaction. An extensive draft resolution presented at the end of the conference declared that European Muslims want to "be perceived as part of Europe." The Imams argued for a positive, pro-active participation in society. By using "integration through participation" European Muslims could improve their public image. "Role models" should be presented to a wider audience. "Muslims will then not be perceived as a problem but as part of the solution of modern challenges," the paper said. The resolution also called for programs to promote the education of Muslim girls and women and said every mosque should have a female contact person for women's issues.